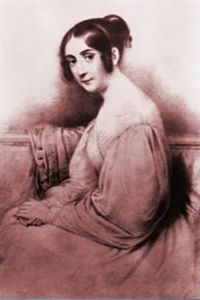 Cornelia Peacock was born in Philadelphia on January 15, 1809. She was an attractive, well-educated woman with a lively personality. At 22, she married an Episcopalian minister, Pierce Connelly, and four years later, the young couple with their two children became Roman Catholics. In early 1840, still grieving the death of her third child, a baby daughter, Cornelia made her first retreat of three days. God touched her deeply and her interior life was profoundly changed. 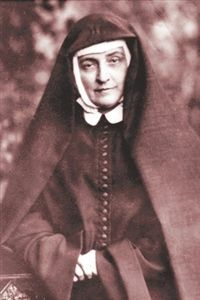 She gave herself in a new way to God, desiring to do God's will as it was made known to her through her duties and the events of daily life. Her growing attachment to God was tested that very year. In February, her beloved two-year-old, John Henry, was scalded in a tragic accident and died in Cornelia's arms. From this anguish was born in her a lifelong devotion to Mary as Mother of Sorrows. What one is called to do, she is called to do with all her might. In October of that same year another heartbreak came: Pierce told her he felt called to the priesthood. Cornelia was pregnant with their fifth child, and urged her husband to consider his proposal yet again, but added characteristically that if God asked it of her, she would make the sacrifice—and with all her heart. Gradually Cornelia discovered her own vocation to be a Religious. In 1845 Pierce was ordained in Rome. Cornelia, hoping to join the Society of the Sacred Heart, went with two of her children to stay with the sisters in Rome, but finding no peace there, she prayed to know God's desires for her. These were made clear in a request from Pope Gregory XVI that she go to England. In 1846 Cornelia and three companions arrived in Derby and the Society of the Holy Child began. To her great sorrow she was ordered to send her children away to boarding schools. Many other deprivations filled her Society's small beginning, yet a spirit of joy and peace prevailed; Cornelia was able to inspire in her sisters something of her own serenity in adversity. Soon they were running schools for the poor, holding day, night and Sunday classes to accommodate the young factory workers, giving retreats and helping in the parish. As her Society grew and its works flourished, great personal suffering again came to Cornelia through Pierce. He renounced both his priesthood and his Catholic faith, removed their three children from the schools they were attending and denied Cornelia all contact with them, hoping thus to force her to return to him as his wife. He even pressed a lawsuit against her that gained notoriety in England, but he eventually lost the case. Sustain a bright and joyful spirit. In this suffering, Cornelia clung steadfastly to God, her strength. She wrote in her notebook, “I belong all to God,” and this total belonging freed her to give herself to others. Her love for God grew and she sought joyfully to live her life as one continuous act of love. The mystery of God embracing all that is human was the foundation of her charism. Today, there are Sisters of the Holy Child Jesus in fifteen countries, striving to live the apostolic life as Cornelia did, seeking still to meet the wants of the age through works of spiritual mercy. They are engaged in educational and related spiritual and pastoral ministries. Cornelia Connelly was declared Venerable on June 13, 1992. 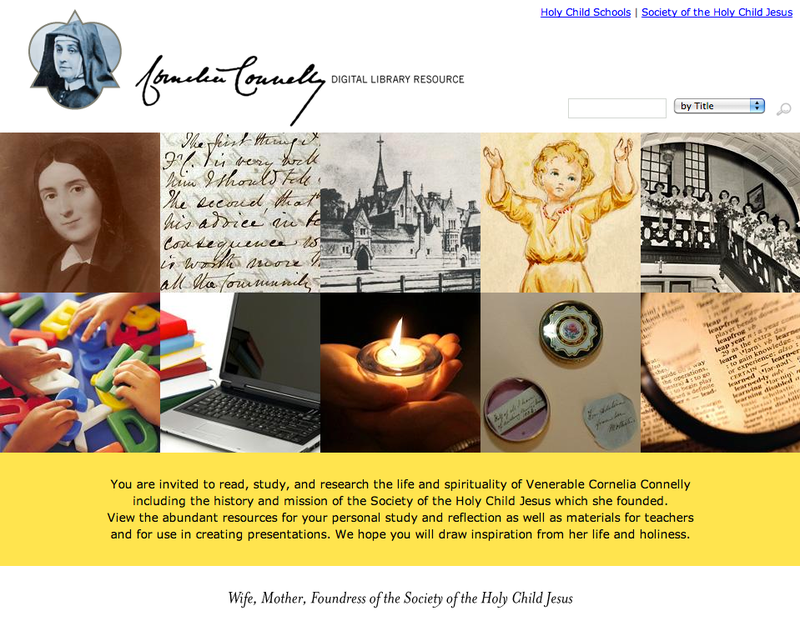 Visit the Cornelia Connelly Digital Library to read, study, and research the life and spirituality of Cornelia Connelly, including the history and mission of the Society of the Holy Child Jesus.